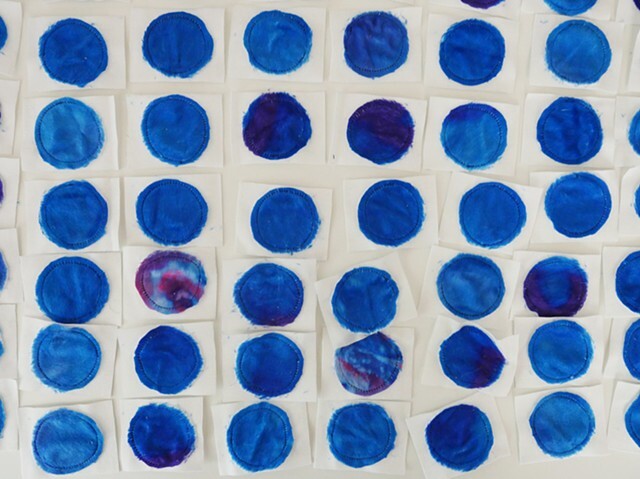 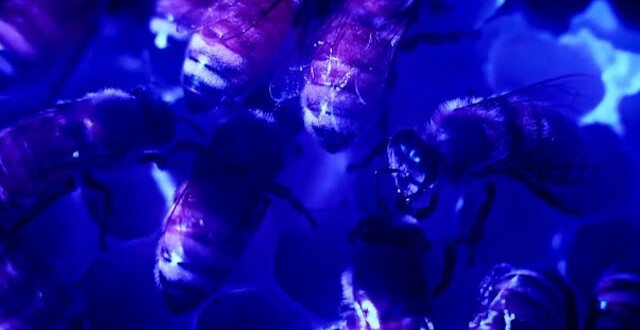 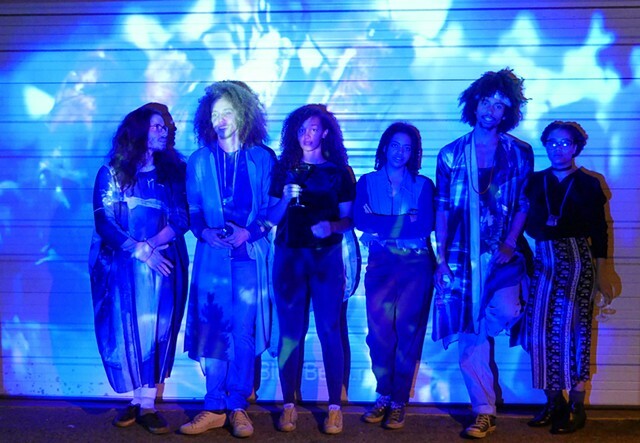 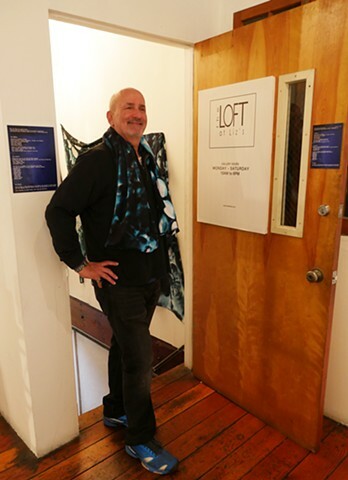 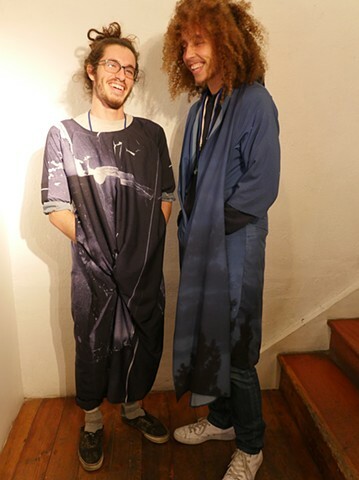 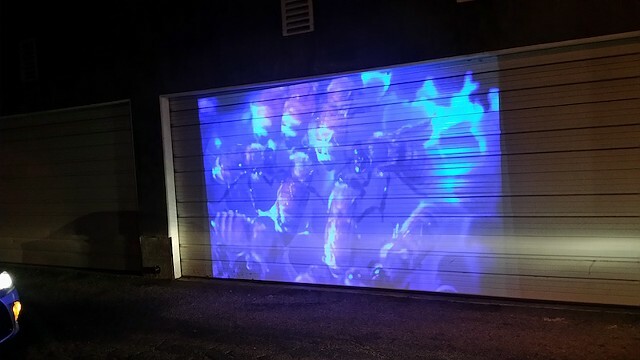 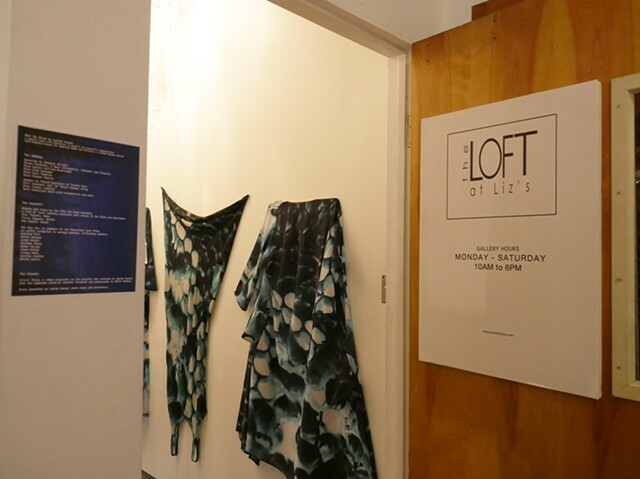 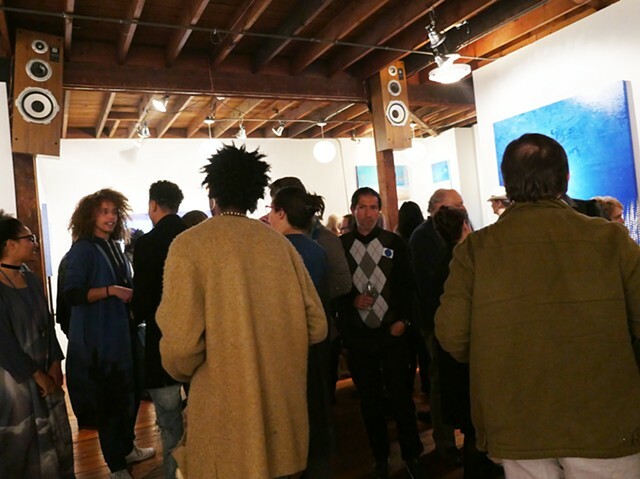 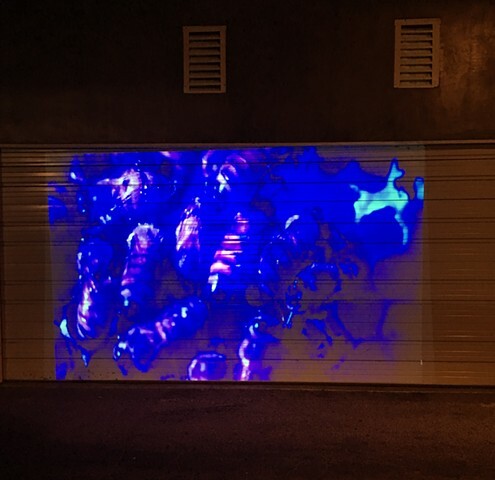 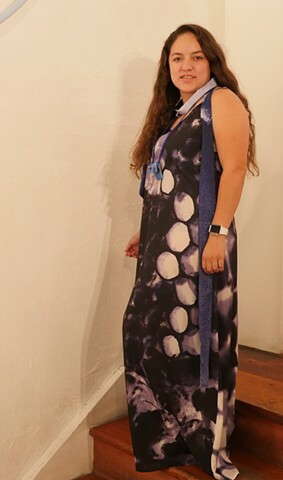 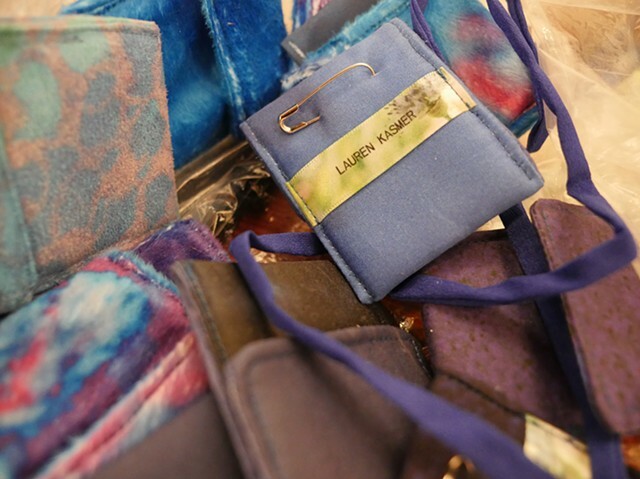 In conjunction with the Blue exhibition at The Loft at Liz’s, December 2016, Lauren Kasmer presented Not So Blue, an evening of small bites, rhythm and blues, rap, video installation, wearable art and exterior building projected video. 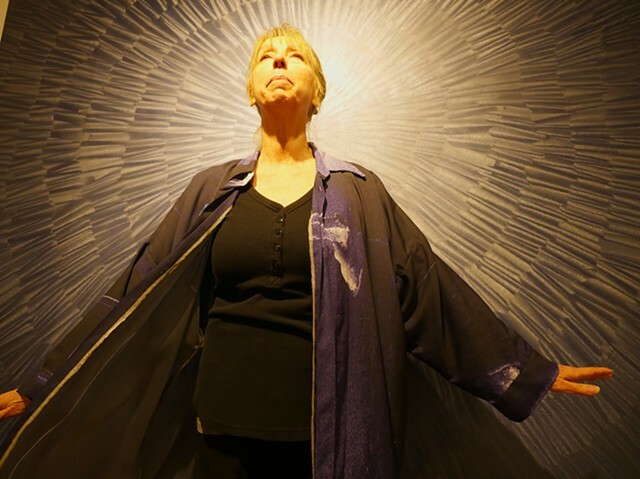 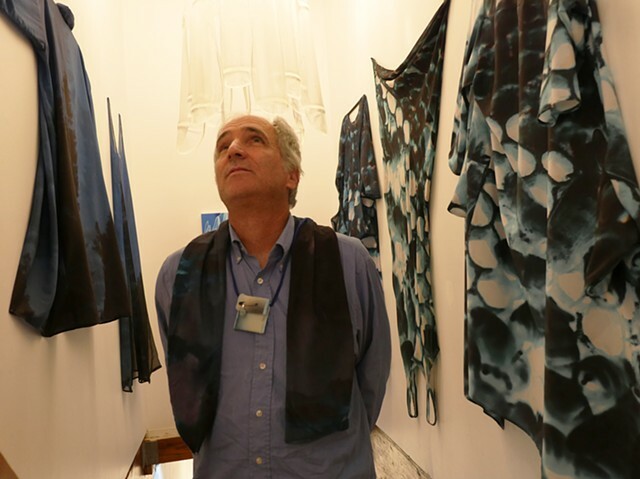 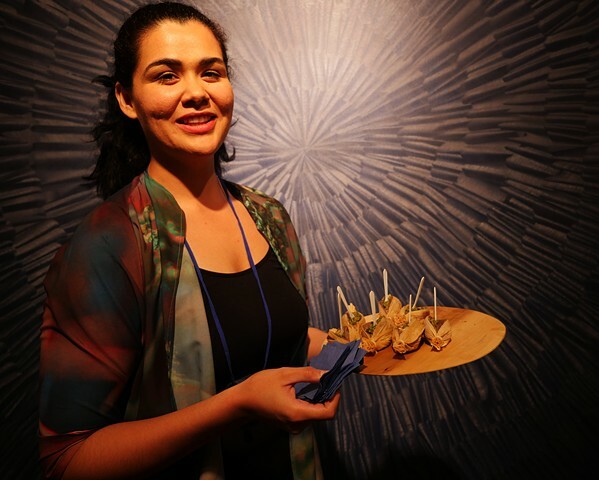 Kasmer invited food artists, musicians and models to work with her in a collaborative effort to create an interaction that exists on many levels. 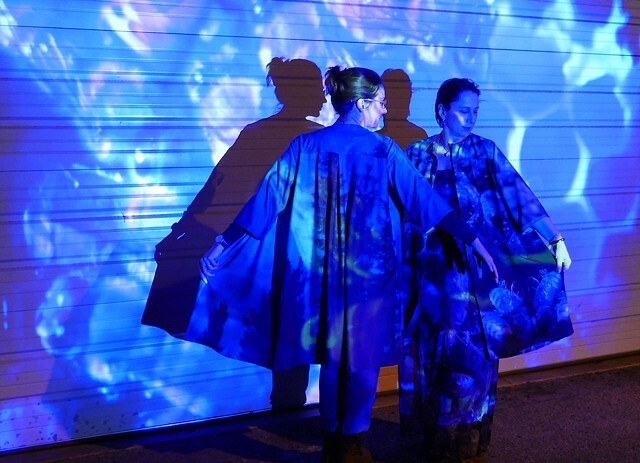 Her work takes off from these collaborations and moves into the wearables provided for the models and musicians and projected video to be shown on the outside of the gallery building. 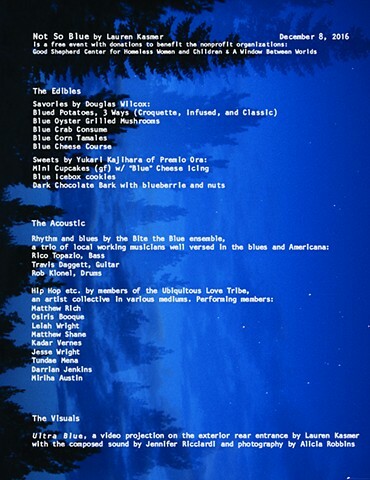 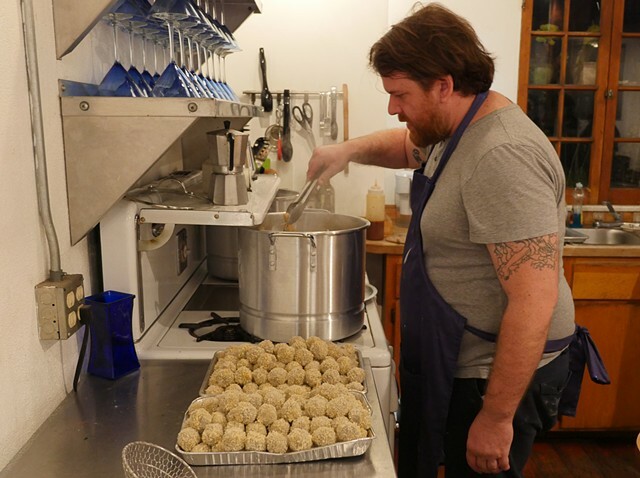 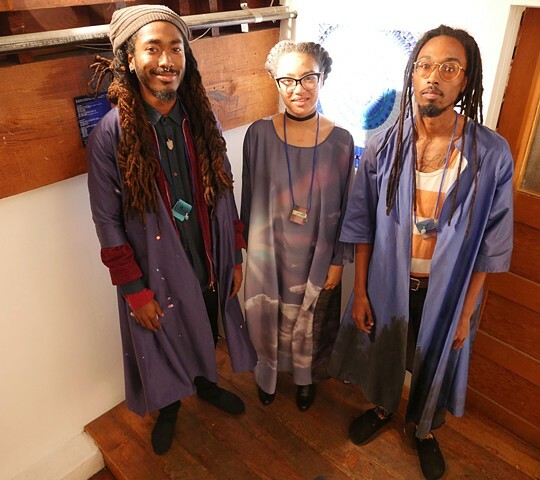 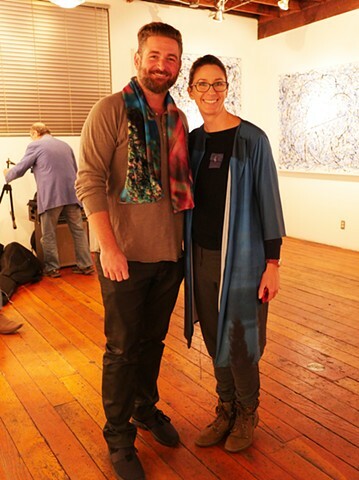 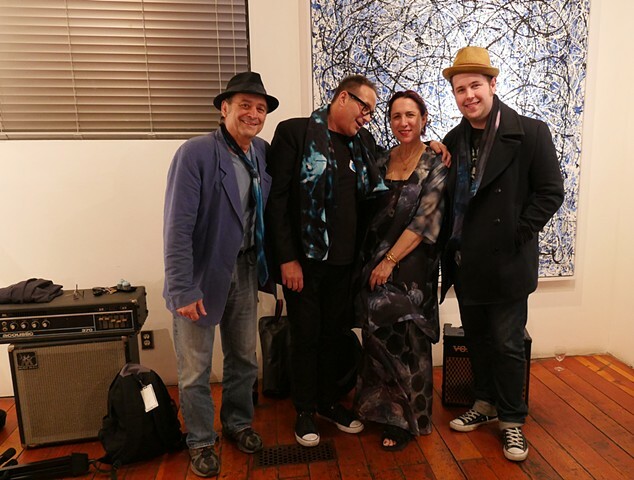 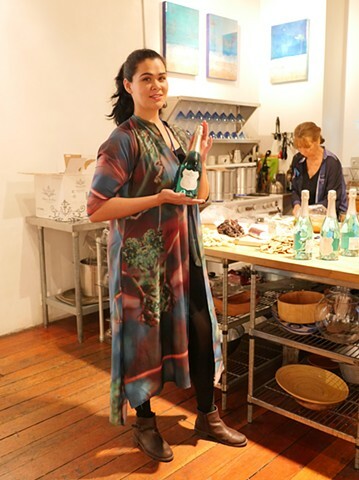 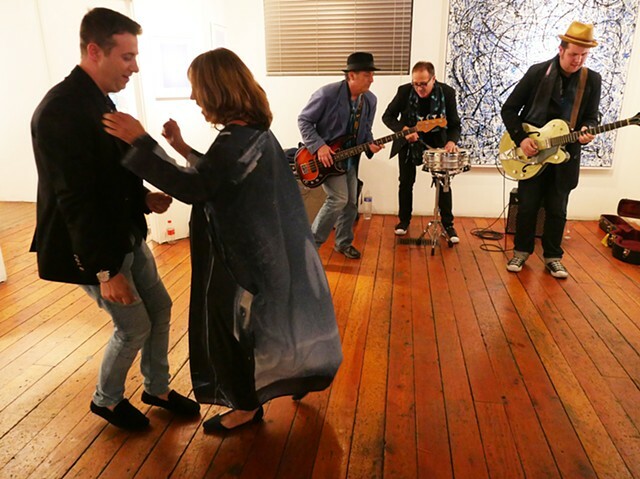 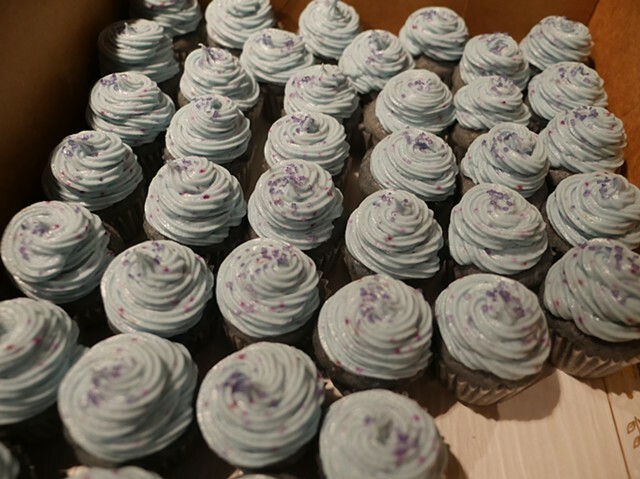 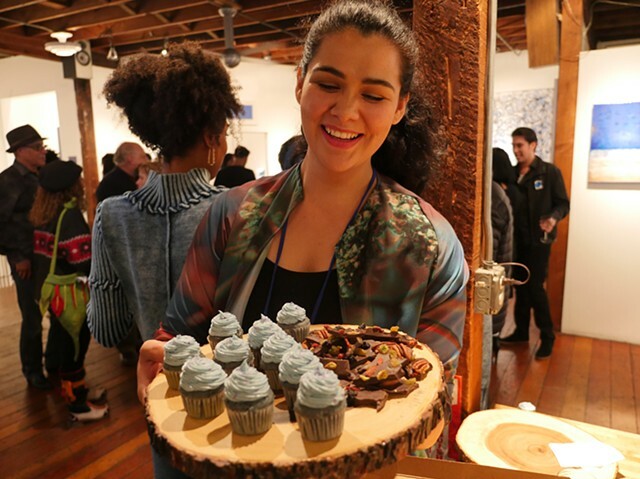 Specifically, Lauren enlisted artist Douglas Wilcox and Chef Yukari Kajihara for blue themed related edibles and rhythm and blues band Bite the Blue and rap group Ubiquitous Love Tribe to provide the musical accompaniment. 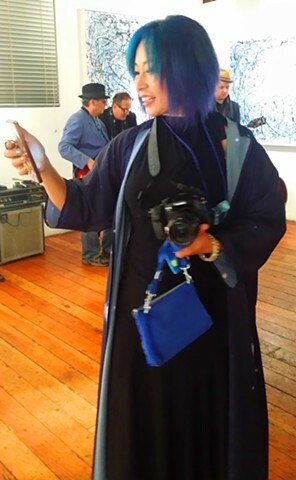 The event was free and donations benefited two local charitable organizations who feed and shelter women and children in need.